For many years, Don Pilar offered a blanco, añejo and extra añejo. “Donde estas, donde estas, Reposado?” Fans of the brands (like us) were excited when we heard that one was on the way, and we wondered how long it would be aged. Would it be a light-touch reposado, or would it have a deep and rich oaky taste? Good question! Things got really interesting when the brand owners asked us if they could use the Tequila Matchmaker’s Tasting Panel to select from 4 samples, each aged for a different amount of time. The winning sample was aged 6 months and they went with it. We’re glad they did. Don Pilar Reposado is a joy to drink. It’s a Los Altos product. Agaves are cooked in an autoclave, fermented with the aid of classical music (for happy yeast! ), double distilled in stainless steel, and aged in new American white oak barrels. The aroma has distinct cooked agave, caramel, vanilla, and melon notes. The flavor is similar, with the addition of cinnamon and some peach. 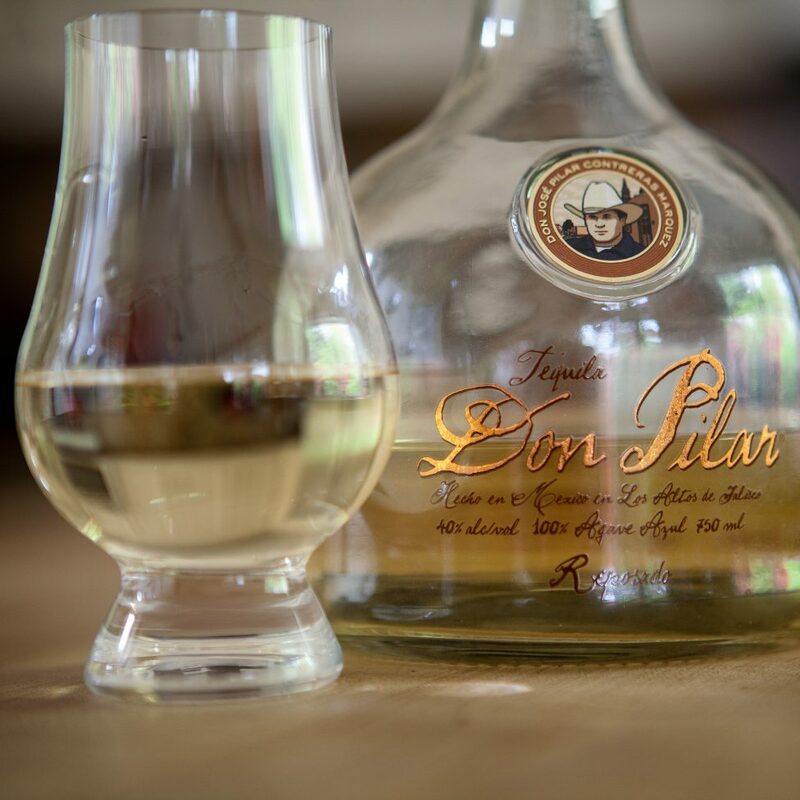 It has a medium-bodied mouth feel, and is a worthy, exciting new addition to the Don Pilar family. You can get it online for $40 at Old Town Tequila. We’re going to be sipping on this all weekend long. Have you tried it yet? Let us know what you think by rating it with the Tequila Matchmaker mobile app for iPhone and Android!